Are you the best possible leader you can be? Are you doing what you do best every day? Are you leveraging your strengths? During his 24-year career as a technology professional, Don has dealt successfully with the challenges you, as a technology leader, face every day. Bringing his broad base of experience to his coaching practice, he can help you maximize productivity, create business value, maintain focus, optimize new project setup, and assemble and assimilate teams and organizations. 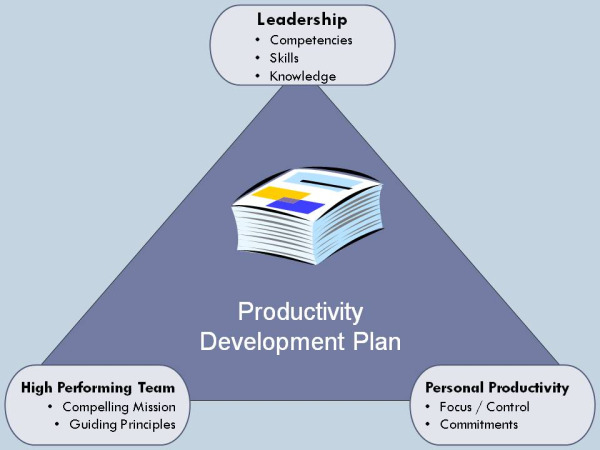 Don has developed a unique three-pronged approach to leadership development. He will begin with you, the leader. You'll discover, develop and leverage the skills and competencies that are the hallmarks of an effective leader. Next, he will support you in developing your team. That team will be grounded in a cohesive, focused mission that is sustained by a set of guiding principles. You'll establish a clear 3-5 year vision, use organizational development skills to place the right people in the right jobs, ensure that the team members' roles and responsibilities are clear, and organize to accomplish your goals. Finally, once the team and the project structures are established, you'll apply Don's productivity processes to enhance genuine effectiveness. You will implement a methodology that allows you to track all of your commitments, anticipate potential problems and their solutions, and make intuitive choices about your work. The tools will also enable you to focus on what's important, and to differentiate between the truly important and the merely urgent.